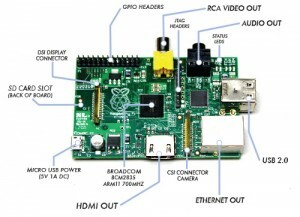 My latest gadget, the Raspberry Pi. A quick boot of Raspbian impressed me enough that I need to make the time to further explore what this little $35 computer can do. Oh, and construct some sort of Lego case for it.